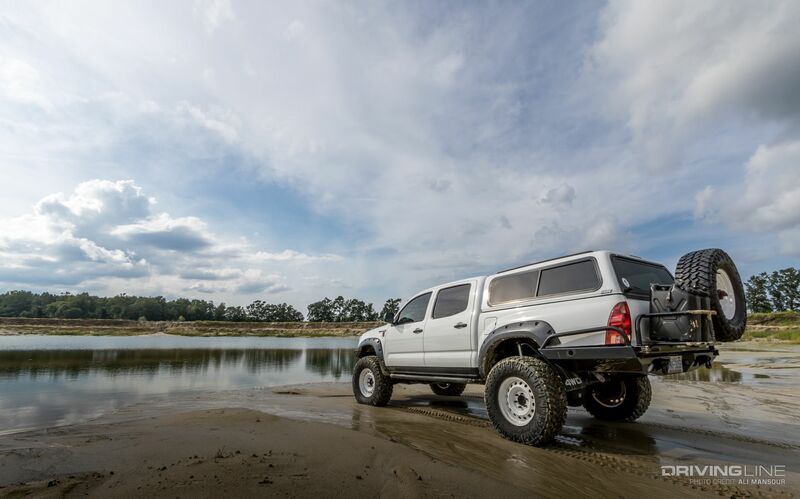 When it comes to tips for building a great four-wheel drive, one of the top things we recommend is to build the vehicle to best suit your needs. Sure, we all want gobs of power on tap, but are you willing to sacrifice fuel efficiency and reliability for it? 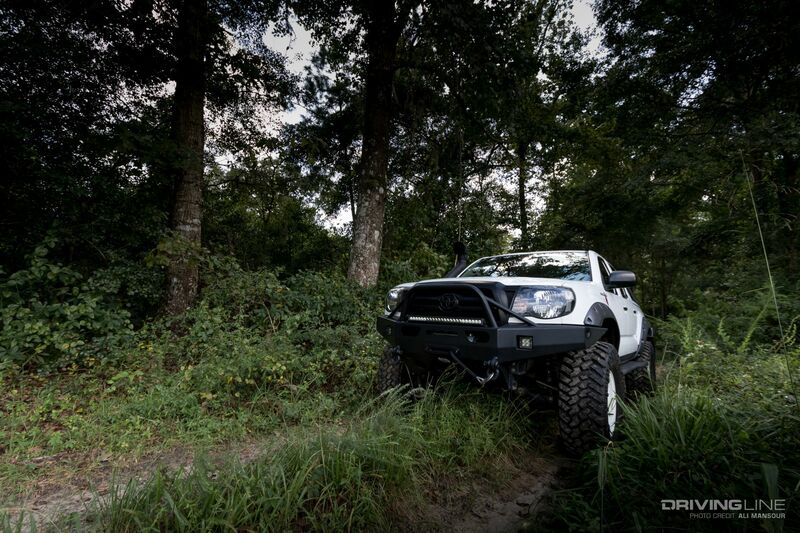 It’s this balance of need over want that has taken Nathan Childs’ 2008 Toyota Tacoma to where it is today. Purchased new, the double-cab second-gen Tacoma has seen many changes over the years. 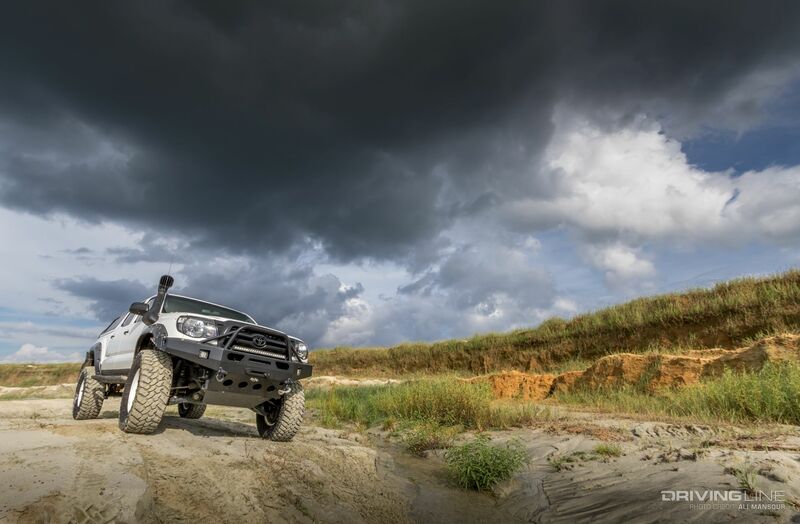 From hauling around his kids to off-road and mountain bike adventures, Childs built his Tacoma to best serve his and his family’s needs. We recently caught up with Childs to checkout his latest upgrades and get the lowdown on the super-clean pickup. In the video above, you can hear the truck’s history directly from Childs. 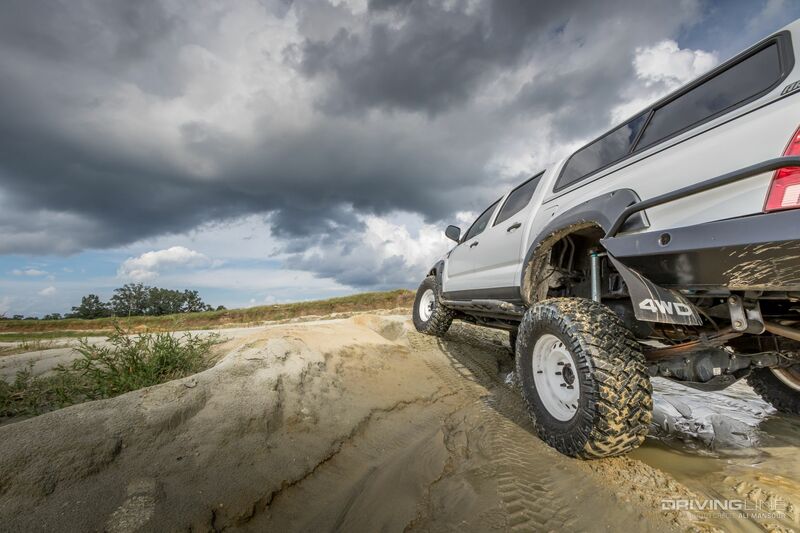 Below, we dive even more into the details of this incredible truck. The builds most recent shift was to a larger set of 315/70R17 Nitto Trail Grapplers. Unhappy with his previous tire’s performance in the dirt, he was looking for a set that would clear out easily on the trail and still retain excellent highway manners. 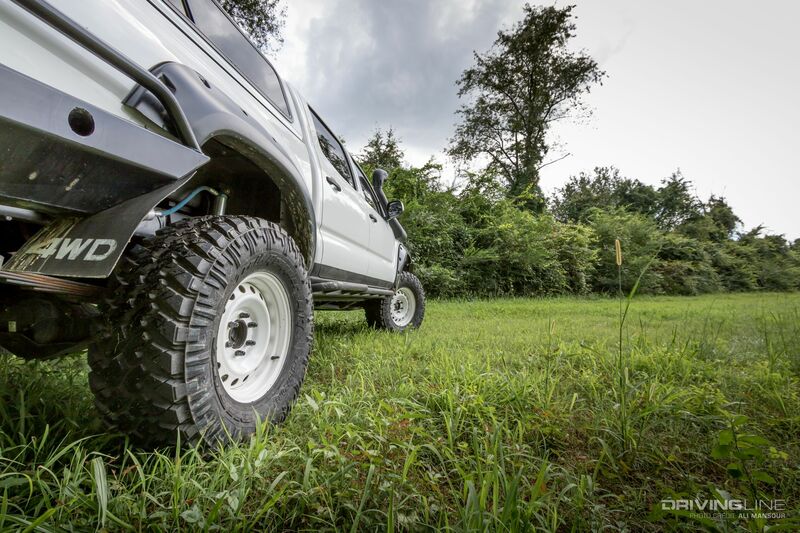 Mounted on 17-inch Toyota FJ Cruiser steel wheels, which he powder-coated white, Childs states he’s been extremely happy with the Trail Grapplers' performance on-road and off. Gracious trimming of the fenderwells and the front cab mount had to be done to accommodate the larger treads. Along with the trimming, a high-clearance winch front bumper from Brute Force Fab also helps free up some room. 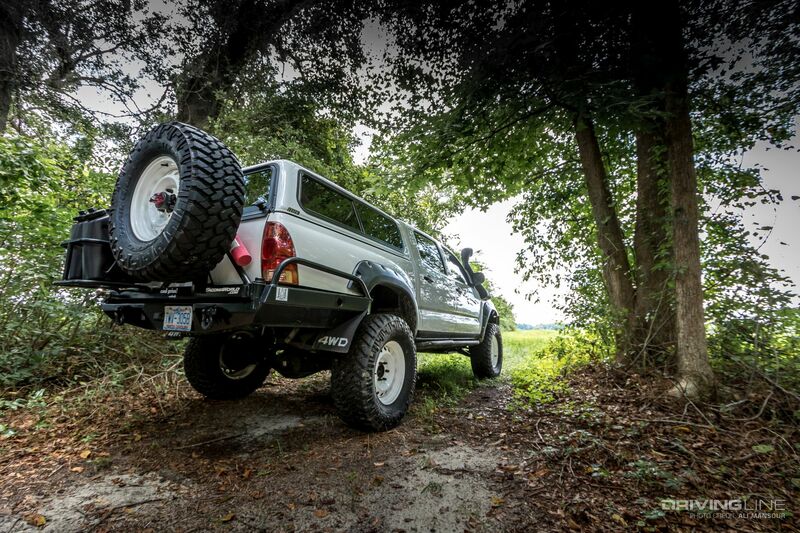 Allowing the truck to handle the trail with ease are set of King 2.5-inch remote reservoir coilovers. The shocks are paired with Light Racing upper control arms, along with Total Chaos knuckle braces. 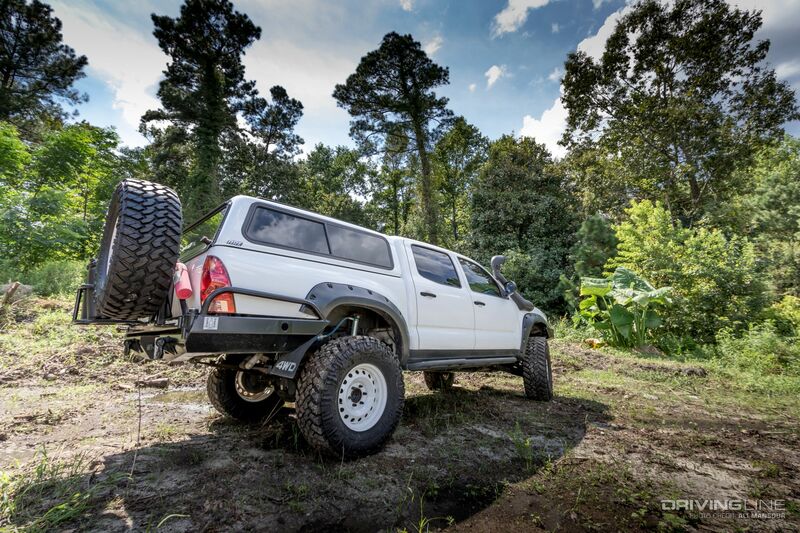 Out back, an All-Pro Off-Road Expedition series leaf pack set works with an Archive Garage shackle flip to support the truck. Ensuring that each tire can fight for traction are a set of ARB Air Lockers that are matched with 4.88 differential gears. 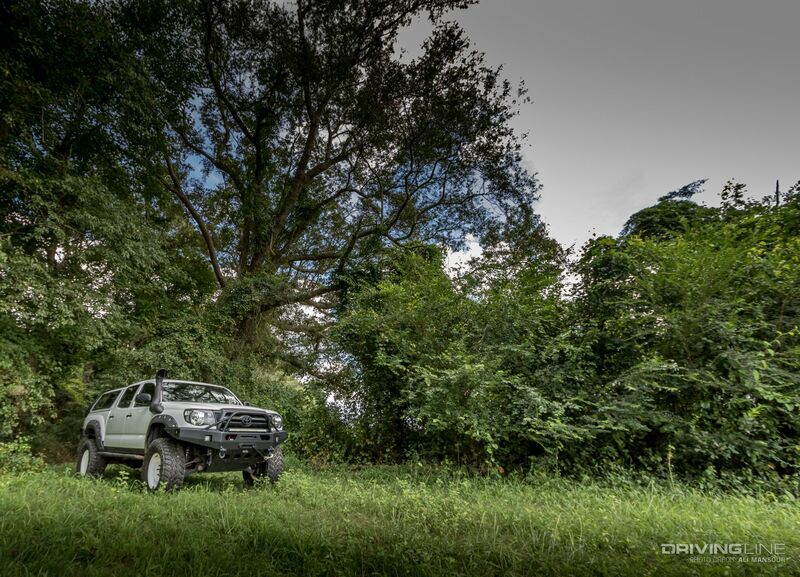 There’s an assortment of very unique features to the Tacoma. Some of our favorite are the pole mounts on each side of the bumpers. These are used to secure a set of hammocks, so when Childs takes his family to the beach, there’s plenty of comfortable places to lounge. Other cool feature are the mud-flaps from a 1983 Toyota truck. Aside from an Airflow snorkel to help filter in incoming air and a dedicated fuse block for his accessories, it’s mostly stock under the hood. 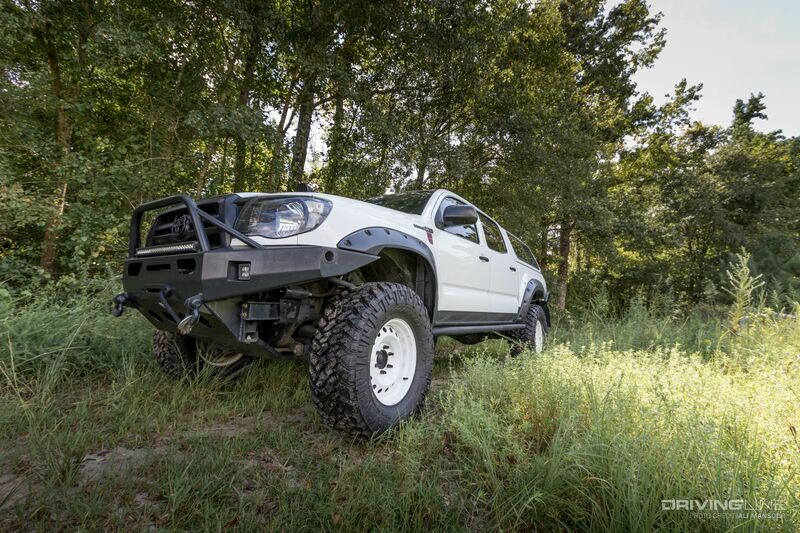 Childs states that the 4.0L V6 does a good job of powering the Tacoma, but it’s by no means a quick truck. Want to see even more details? Check out the photo gallery below.